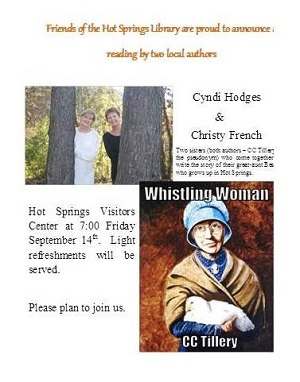 Christy and I will be in Hot Springs tonight at the Hot Springs Welcome Center at 7:00. Can’t wait to meet all the people and share a little bit of Whistling Woman. Come join us!